Two exciting adventures combined into one great tour! Mix the aerial thrill of a canopy zip line tour with the off-road fun of an ATV tour for a 4-hour excursion that will keep you smiling. 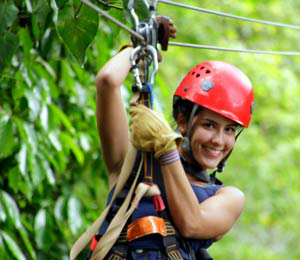 Zip through a stunning treetop canopy on a series of thrilling ziplines. Afterwards, experience various other amazing activities such as rappels off of elevated treetop platforms and a wobbly climb up the 15-meter (50ft) tall Crazy Ladder. Later, have a fun ride on the Tarzan Swings and test your driving skills in an off-road UTV course. 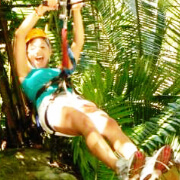 Join us on our phenomenal Canopy El Eden Zip Line tour where you will experience the beautiful, dense, and lush jungle forests of Puerto Vallarta. These are the same forests and rivers that were used as the setting in the famous 90's movie Predator with Arnold Schwarzenegger. Our 2 mile canopy course is guaranteed to give you the thrill of a lifetime! Limited Spaces Available! For reservations call 888-558-3330. Puerto Vallarta lies between the Bay of Banderas and the mountains of the Sierra Madres. The lush tropical canopies that cover the Sierra Madres provide a habitat for over 350 bird species. Glide like a tropical parrot through the trees on a zip line. These zip line excursions allow hikers to view the jungle environment from a rare perspective. 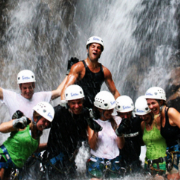 The most experienced and well-trained guides will provide you with an enjoyable and safe adventure in this spectacular environment. Get a bird’s eye view of the amazing flora and fauna in this region, including wild orchids, parrots, and of course, the famous Puerto Vallarta iguanas. 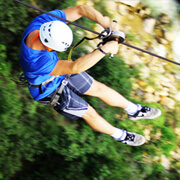 For your convenience we have every zip line tour available in Puerto Vallarta right here on our website. 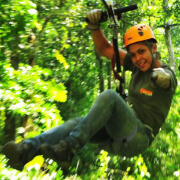 You can choose through all the fantasitc canopy tours available in the area. Compare and select the perfect canopy experience for your vacation. If you have any questions our knowledgable canopy experts are just a free phone call away. 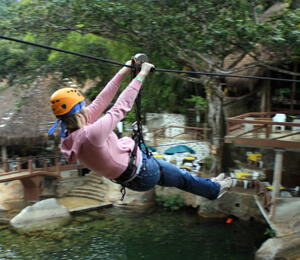 Just because you’re cruising into Puerto Vallarta for just one day doesn’t mean you can’t experience Vallarta’s most popular zip line tours. 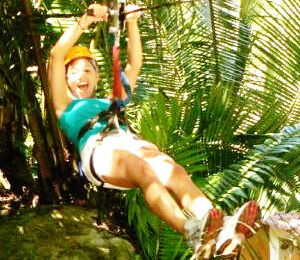 Our canopy tours are very convenient to get to and we’ll make sure to have you back on your ship with plenty of time. 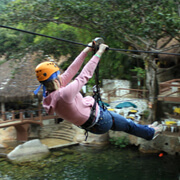 Our friendly knowledgeable staff is here to help you decide which canopy tour is right for you. Feel free to ask us anything you want about our trips or call us when you’re ready to make your reservation. Need help booking your tour? Our professional and local staff is here to help. Contact one of our local representatives by calling 888-558-3330 or click the live chat button to right.